US media reports say the symptoms range from hearing loss to "mild traumatic brain injury", which could include concussion or headaches. A spokeswoman said the attacks seemed to have stopped. Cuba denied involvement and said it was investigating the reports. The attacks were first reported earlier this month when the US expelled two Cuban diplomats from Washington. But it was not clear until Thursday how many US employees had been affected. The Associated Press reports that the sonic devices use may have been emitting inaudible sound waves that can cause deafness. "We can confirm that at least 16 US government employees, members of our embassy community, have experienced some kind of symptoms," State Department spokeswoman Heather Nauert said. "We take the situation extremely seriously," she added. The victims, some of whom have been withdrawn from Cuba, have been treated in the US and by US doctors in Cuba. US Secretary of State Rex Tillerson has described the incident as a "health attack". 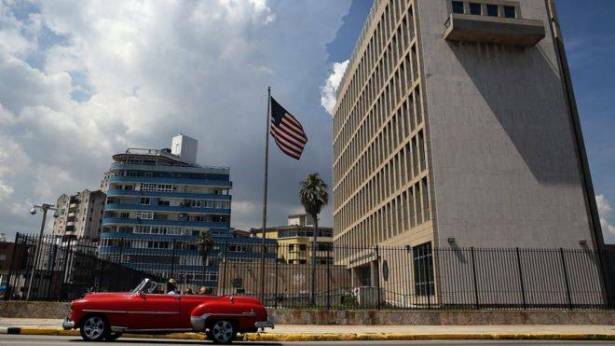 The incidents appeared to continue even after the US staff complained of them and as the Cuban authorities were investigating the cause, the BBC's Will Grant in Havana says. There are currently investigations under way by the Americans, the Canadians and the Cubans, and security has been stepped up around the diplomats' residences in Havana. Security analysts believe a third country with hostile relations with the US may be involved but no clear picture has yet been established.